This book presents the lectures from the NATO Advanced Training Course (ATC) held in Tirana, Albania, in April 2009. The goal of the ATC was to enhance international cooperation in the fight against terrorism by providing the guidance necessary to promote standard training and basic skills for Partner Nation officials. It provided a forum for exchanging views on the latest developments in the area of threats posed by terrorist organizations, their impact on the national, regional, and global security environment, as well as ways to prevent, deter, counter and respond to them. It also promoted a wide-ranging partnership of cooperation and dialogue in the fight against terrorism, to boost transparency, mutual confidence and the capacity for common and concerted action. The eleven papers in the book are selected from the lectures and case studies presented during the ATC. They explore the causes and dimensions of terrorism and introduce strategies to counter the terrorist threat, examining different cases related to countering terrorism in detail and explaining the efforts of NATO and the United Nations to counter terrorism. No nation or culture can achieve peace and security at home while ignoring terrorist threats posed to other nations. 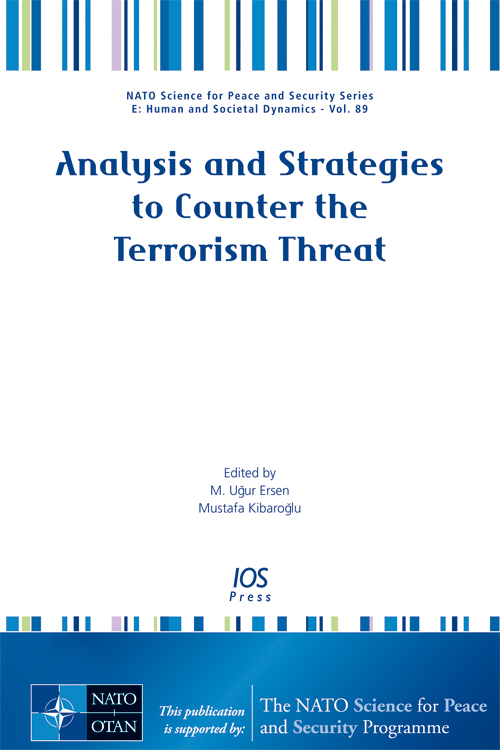 This book provides readers with an analysis of the strategies adopted in countering the terrorist threat, and will assist multinational efforts to combat the threat of global terrorism.